In April 1990, after his Moscow meeting with Soviet President Gorbachev, Rev. Sun Myung Moon asked Antonio Betancourt, Secretary General of the Summit Council for World Peace, to reach out on his behalf to North Korea. Dr. Betancourt had many years’ experience working with former heads of state and government from Latin America and elsewhere. On several occasions, Rev. Moon gave him specific instructions how to conduct diplomacy prior to undertaking this overture. Shortly afterward, Dr. Betancourt started to visit North Korean embassies in Beijing, Lisbon and other world capitals. He would walk into an embassy, introduce himself and his affiliation, and quickly would be bodily escorted outside, and told he was not welcome. The reason was our worldwide movement’s strong anticommunist stance. Although he gave them the precedent of Rev. Moon’s meeting Gorbachev, it made no difference. Through sheer persistence, he eventually impressed the North Korean diplomats because he showed both a willingness to listen, as well as displayed a refreshing attitude. On one occasion, he went to the North Korean UN mission in New York and met with their deputy ambassador. This official carried on for three hours condemning the United States, Japan and South Korea for many of the North’s ills. Dr. Betancourt said that once he did his best not only to endure the diatribe but listen attentively, an unexpected change in the atmosphere occurred. The North Korean diplomat suddenly became curious and willing to listen to what he had to say. The deputy ambassador was amazed this visitor had taken his verbal punishment, digested it, and was willing to proceed to more constructive conversation. What came from this meeting led to Dr. Betancourt’s first of 17 visits to Pyongyang in May 1991, accompanied by Rodrigo Carazo, former president of Costa Rica. Once in Pyongyang, Dr. Betancourt’s real test began. He was subjected to verbal berating for two days, despite being a state guest, because the North Koreans wanted to test his true intentions and capacity to deal with them. He concluded they do not trust someone unless proven trustworthy. This is part of understanding and managing North Koreans’ complex logic used when dealing with those with whom they have grievances. Meanwhile, Dr. Bo Hi Pak, assisted by Dr. Betancourt, laid the foundation for Rev. and Mrs. Moon’s historic meeting with President Kim Il Sung in November 1991, as chronicled in Chapter 20 of Dr. Pak’s Messiah: My Testimony to Rev. Sun Myung Moon, Vol. II. This does not mean to compromise your principles, ideals or values, but to look for leverage on a positive plane. It is easy to descend to the level of your adversary in an exchange of acrimony and accusations, or expressions of distrust and animosity. But that is the wrong thing to do if the goal is engagement for dialogue, negotiation and an eventual partnership for addressing and managing problems, or even finding solutions together to problems. 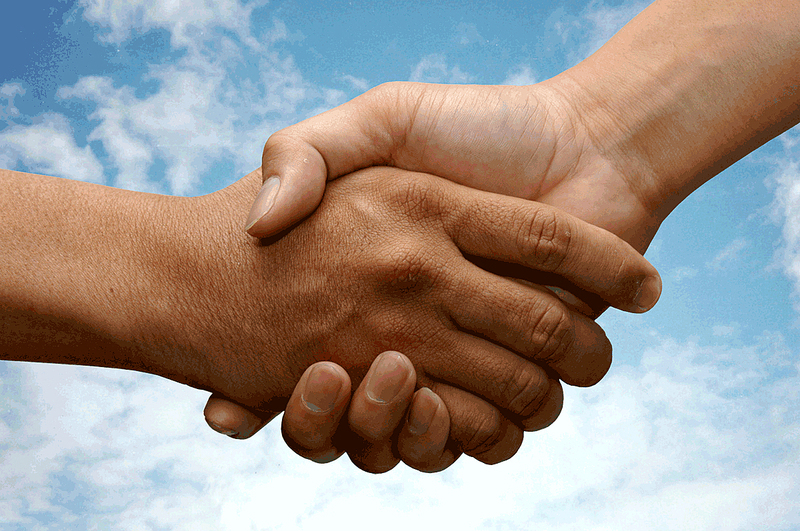 You reach out to adversaries to make them partners for peace and eventually even to become friends. Peace after all requires the agreement of two parties. You cannot have a genuine and workable agreement if one party is demeaned, demonized, or worse, if the other party prefers his partner to cease to exist. The conflict between the Palestinians and Israelis has persisted since 1948, but its origins go back many decades further. Two major wars have been fought, many lives lost to terrorism, and facts on the ground changed to avoid a two-state solution. Fortunately, these two parties are now in the midst of an intensive nine-month negotiating period, brokered by the U.S., intended to bring a final settlement. But how can peace emerge in the Holy Land if both parties fundamentally prefer, in effect, to “drive the other into the sea?” These basic attitudes of the conception of the other have been part of why peace has been so elusive in the Middle East. How can there be peace if one or both parties fundamentally wish for its adversary to cease to exist, or at least to evict him from the neighborhood? We are also in the midst of negotiations between Iran and the “P5 + 1”: Britain, China, France, Germany, Russia, and the United States. It is easy to dismiss Iranian public statements as devoid of realism. But it is a mistake to look at Iran and see a country out of touch with its past and roots. On the contrary, its rich Persian civilization, culture and history could be compared with that of Egypt, the Hebrews, and Greece. Moreover, the ancient Persians had a genius to recognize, accept and tolerate the complexity of the cultures over which they once ruled. U.S. Secretary of State John Kerry (left), Iranian Foreign Minister Mohammad Javad Zarif (middle) and European Union foreign policy chief Catherine Ashton (right) attend a meeting of the five permanent members of the Security Council plus Germany at the United Nations on September 25. 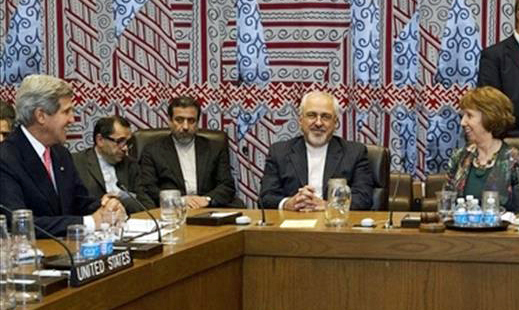 Iran is negotiating now because international sanctions imposed on it have become intolerable. But it also seeks the respect and dignity it deems a nation with such a rich and ancient civilization deserves. Iran believes it is acting according to its civilizational heritage. It pursues primacy in this region because of its history and geography. While that is a cause for concern for the U.S., Turkey, Israel, and others, it is manageable through wise statecraft. Current negotiations with Iran can better succeed if the Iranian leadership senses the world is treating them with the dignity and respect they believe they deserve. Koreans cherish a civilization over 4,300 years old. The ancient Korean kingdom of Goguryo once occupied not only the northern half of the Korean peninsula, but much of northeastern China. North Korea sees itself as the successor to the civilizational heritage of Gorguyo. It is exceedingly difficult to comprehend North Korea’s unique culture and way they see the world and their place in it. Eventually, the North will have to become part of the world, which will involve some form of national reintegration with the South. But North Korea will also want what they believe is valuable and the essence of their culture to remain intact. No matter how moribund their economy, North Korea will want the world to know it has contributed something of lasting value for the future. The next few years will be critical for both the United States and South Korea to find a new and higher way of engaging North Korea based on mutual respect. While North Korea will have to change its behavior towards the U.S. and South Korea, these two allies must also go beyond the mental framework that has characterized the status quo since the end of the Korean War. Before policy is formulated, the proper mindset must be achieved. Both allies would also do well to show magnanimity. Effective diplomacy should be based on the principle of a balance between power and diplomacy, with the use of power as the last resort. American diplomacy since the end of the Cold War has been in disarray in large part because successive U.S. administrations did not adhere to the principle of force as a last resort. Instead, we have seen increased reliance on the use of force, or intimidation, threats and ultimatums, as the primary tool of U.S. foreign policy. Diplomacy became subordinated to the threat or use of force. Recent U.S. policy toward Syria is a case in point. The U.S. does not know how to get out of the box it put itself in. Dr. Mark P. Barry is managing editor of the Applied Unificationism blog, associate editor of the International Journal on World Peace, and teaches management, international relations and modern Korean history. This article is adapted from a presentation given on October 31 at St. John’s University in Queens, New York, before a conference of Korean-American undergraduate students. He thanks Dr. Antonio Betancourt for his valuable contributions to this article. National interest and power politics, a doctrine of international thuggery, became an established norm backed by the theories of Hans Morgenthau, who ironically was always in conflict with Morton A. Kaplan. 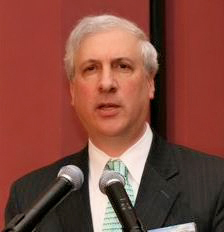 Kaplan promoted a systems view, which recognized balance of power among states, and that international society should be a “community.” One can understand why Al Qaeda, North Korea, and other groups that use terrorism argue that they are morally justified in their attacks, when the West appears to use its superior power and technology to get what it wants. Morgenthau used Reinhold Niebuhr’s “Christian Realism” as a basis for his “Political Realism,” but he left out the Christian values. Niebuhr was just saying the Christians have to be realistic about power, that it must be understood, not that it should be the strategy of first resort. The U.S. invasion of Iraq was the first time the U.S. violated Christian just war theory, with its preemptive attack on Iraq. One can compare this attack to the FBI’s use of a S.W.A.T. team to domestically overpower Elián González’s family to return him to Cuba, or line up an Army outside the Branch Davidian compound in Waco, Texas. Increasingly the police are ready to shoot before being fired upon — putting their interests ahead of those they are sworn to protect. This attitude of putting power above humanity is a symptom of a loss of cultural values in a technological age. Drone attacks perhaps epitomize this attitude, because there is never the slightest hint that the criminal should be captured and given a fair trial. I do not think the world is made more safe by anyone who uses power first to pursue national interest. It does not help superpowers who use it as a method of first resort, or the terrorists who are essentially doing the same thing. Reverend Moon taught that “Satan strikes first” and that when God’s side absorbs the first blow, it will eventually win because Satan’s side will have exposed its true nature and people of conscience will turn against it. You can say “thank you” to Russia that insisted on diplomacy in Syria. But, it seems that the U.S. doesn’t like this approach.